The Christian Bürkert Stiftung bears the name of the entrepreneur Christian Bürkert (1915 – 1971), who with visionary foresight, a creative spirit of inventiveness and enormous resourcefulness founded an electrical engineering shop in Ingelfingen in 1945, which developed into a worldwide leading supplier of fluid control systems. Early on he had already considered transforming the enterprise he had established in a foundation. He was inspired by exemplary foundations such as those of Zeiss and Bosch. Since he lost his life in an air crash in 1971, however, his intention of starting a foundation was never realised. Christian principles guided Christian Bürkert and his wife, Dorothee Bürkert (1926 – 2012) were guided by Christian principles and were both very open-minded and interested with regard to social and cultural affairs. 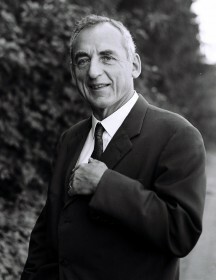 After Christian Bürkert’s death, Dorothee Bürkert put her husband’s idea into effect by establishing the Christian Bürkert Stiftung in 1978. Later she expanded the purposes of the foundation. Dorothee Bürkert bequeathed her share of the company’s capital to the non-profit Christian Bürkert Stiftung, in order to maintain the Bürkert Group as a whole and to allocate her share to the common good. The transfer of funds as stated in her will was completed in September 2015. Christian Bürkert (1915 – 1971) grew up on his parents’ farm, the Bühlhof, near Ingelfingen, attended grammar school and secondary school, completed a toolmaking apprenticeship and studied electrical engineering in Berlin. After that he was active in the development of cathode ray tubes at Schaub-Lorenz. Back in Hohenlohe after the war Christian Bürkert recognised the high demand for poultry meat, even though the farmers did not have enough chicks. He quickly developed a temperature controller for incubators that kept the required temperature exactly constant to within 0.1°C. These incubators were highly sought after. After only a few weeks Christian Bürkert was able to found a company for incubators and brooders, which was entered in the Register of Craftsmen on November 16th, 1945. The first production site was a cellar room on his father’s farm. He soon leased rooms in Ingelfingen’s forge called the “Münze” and the castle. 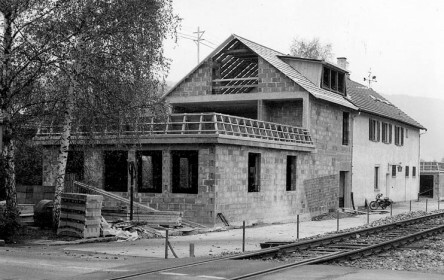 In 1948 Christian Bürkert erected the company’s first building. The premises were used from the beginning for the training of apprentices, in keeping with the founder’s concern for offering opportunities to the rural population in the Hohenlohe region. In the following years Christian Bürkert made innumerable inventions in the field of measuring and control technology, for which he became the proprietor of numerous registered utility models and more than 140 granted patents, both national and international. He was ahead of his time, by recognising the international markets and establishing a worldwide sales network. In 1956 he opened his first branch factory abroad. In 1957, with the manufacture of solenoid valves for washing machines, he achieved the breakthrough into mass production. The moulding of solenoid valve systems with synthetic resin made his company a technological leader. Christian Bürkert travelled on business throughout Europe in his twin-engine plane. Tragically, he was killed when his plane crashed on October 21st, 1971 near the Azores during a solo flight across the Atlantic. 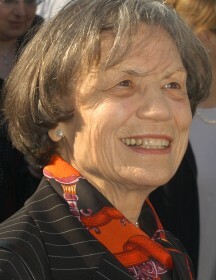 Dorothee Bürkert née Gauß (1926 – 2012), a pharmacist, was responsible for the company after her husband’s sudden death. Thanks to capable employees and the cohesion of the shareholder family she was able, as the business manager, to continue Christian Bürkert’s life work. She accompanied the development of the corporate group for a period of 40 years. During that time her priorities were the well-being of the employees and their families, the safeguarding and creation of jobs, as well as vocational and advanced training. 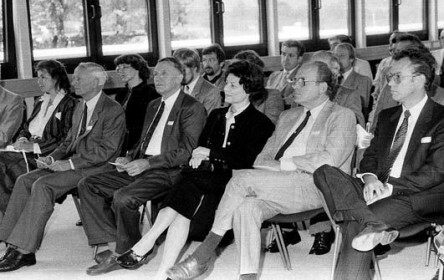 In 1978 Dorothee Bürkert founded the Christian Bürkert Stiftung for the promotion of vocational and advanced training as well as social and charitable activities. She personally supported many social, cultural and church activities in the Hohenlohe region. Honours for her commitment to diverse causes, such as the appointment as honorary senator of the University of Heilbronn, the medal of merit awarded by the land of Baden-Württemberg and honorary citizen of Ingelfingen were never considered by Dorothee Bürkert to be personal achievements, but rather recognition for the accomplishments of the people in the company and for the life work of her husband. Up until her death in 2012 the name Dorothee Bürkert stood for philanthropy and humility as well as for socially responsible entrepreneurship. The corporation Christian Bürkert GmbH & Co KG is a leading manufacturer of process measuring and control systems for liquids and gases with headquarters in Ingelfingen. The products and systems are used in more than 300 different industries, such as breweries, lab technology, medical engineering and even aerospace technology. The product spectrum encompasses solenoid valves, process and analytical valves, pneumatic actuators and sensors. In addition, Christian Bürkert GmbH & Co KG also offers complete systems and application solutions to cover the needs of its customers. In addition to the headquarters in Ingelfingen, Bürkert operates production plants in Criesbach, Gerabronn and Öhringen as well as in Triembach-au-Val in Alsace, with more than 2500 employees worldwide. The company is represented in 36 countries with 35 independent subsidiaries. For custom-tailored solutions there are five Systemhaus locations in Europe, the USA and China. The profits distributed from Dorothee Bürkert’s donated share in Christian Bürkert GmbH & Co KG go to the foundation. As a non-profit organisation, the Christian Bürkert Stiftung does not engage in any business activities. The voting shares of the business are with Bürkert Stiftungsbeteiligungs-GmbH.